The resort has a million dollar view of the magical El Nido. The owner and staff are very friendly and accommodating. I encounter problem regarding an expected guest from the city and they had accepted with a minimal fee. The chef cooks good food and Staff Lyn is always there if we encounter problem. I wish they would build more rooms to accommodate more guest. This hotel is a little out-of-the-way but they are very generous providing transportation to the city center when needed. The staff couldn’t have been nicer the place is very clean . I was a little disappointed in food hopefully that will be changed. I would stay there again. So, one think to know about El Nido, is that north of El Nido town, the infrastructure is not quite developed yet. This means that roads ends literally on the beach in central El Nido town and from there on tricycles drive on the beach (and then on a really bumpy road) to all hotels north of the town. Its is walking distance, so it didn't bother us too much, but south of El Nido town resorts are much easier to navigate to. However, the hotel was lovely, pool was great with perfect sunset views. The staff at the hotel was very helpful and friendly, especially Lady-Lin , who was extremely helpful and so friendly, she made the stay all the more enjoyable. The view of hotel is awesome but the location is difficult to get, need contact the hotel to pickup. However the pick up is free service so it’s okay. The service is good and staffs are warm and happy for helping. WiFi works perfectly, that’s good. Food here is also good, just a little pricey... since it’s not easy to get out... that’s the only and best choice if you wanna eat without too much trouble. The one thing I really need complain is their shower utensils.... the soap is the worse I ever used... highly recommend they change and you should bring one by yourself. Also the shampoo not too good.... maybe bring by yourself too. Overall besides some inconvenience.... the experience stay here was nice. we stayed here for 3 days and 2 nights. we enjoyed the place so much! with the facilities and amenities almost everything was so good! Everyone was very accommodating and friendly by the way. Shout out to Lady Lynn who helped us with everything and made our stay very smooth and comfortable. Hoping that when we get back breakfast buffet maybe? more food options for breakfast please! Thank you! I was on a trip with my girlfriend to get away from the busy city life and enjoy the peaceful beaches of El Nido. We stayed in a standard room with a private bathroom overlooking a private beach on the second floor. You will have a breathtaking view of the beach every morning and evening. The resort was located away from the main road of the island so public tricycles will not be able to bring you to the door step. The resort provides transportation services to and fro the main road using their private tricycle and driver. They were very timely in picking up and dropping off guest. The main attraction of the island would be joining the different tours to the neighboring islands. This can be arranged by the resort for the day before 08 30am. The resort only accepts cash for the tours. There are times where the electrical power is cut off but they have a back up generator. The staff and the owner are very accommodating to your every needs. Overall, I had a chilled and relaxing time in El Nido. We really enjoyed the stay at reef strand. Staff is really nice and helpful with even the smallest requests. 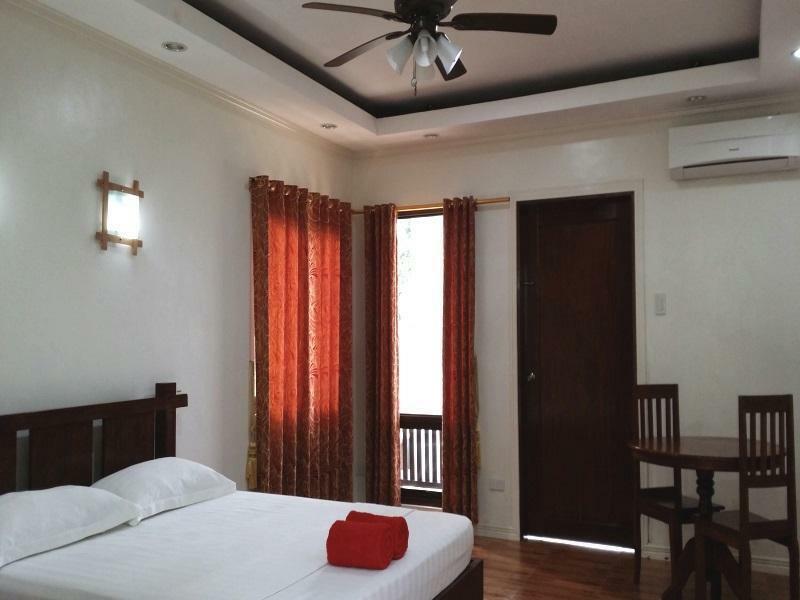 When the construction work is finished, this will be one of the best places to stay in El Nido. Thank you for a memorable stay - We are definately coming back! The hotel is right next to beach, and has big tidy room with nice backyard. the owner is very friendly, by the time my cell phone was running out of balance, they help me to contact my agent to arrange the bus back to PPS, and offer me free ride to the town and wait until the bus arriving to ensure we can catch up the bus. very appreciated! Good ambiance for a family vacation. Very friendly and helpful resort staff. The owner is alway on hand to ensure the guests needs are adequately met. Only issue is the access road leading to the resort. The resort management needs to lobby with the local government to replace the demolished seafront road with a suitable one meeting environmental and engineering standards. Good hotel with really friendly staff. The pool was good but what you can't see from the photos is that between the pool and beach is an area of demolition or unfinished construction with exposed reinforced concrete which doesn't look pretty. Food wasn't the best but they do offer free tricycle into town and collection which is really convenient. The local taxi tricycles cannot get down the narrow alleyway so when we arrived we were dropped off with our bags and had to walk 10 minutes to the hotel which wasn't ideal. I'm sure they would have collected us if we knew in advance about their service. Room was great and the aircon is in par with a polar expedition!! The views over the bay are spectacular and the sunsets are unreal, highly recommend staying here. Pricey, no gym, hotel location needs a 5-10 min. tricycle ride from the center of the town and it’s available only till 10pm, small pool, hot tub not functional, complimentary breakfast does not have a lot of options, no phone in the room, always have to go out to the front desk or restaurant if you need something or even ask questions, but staff are accommodating.